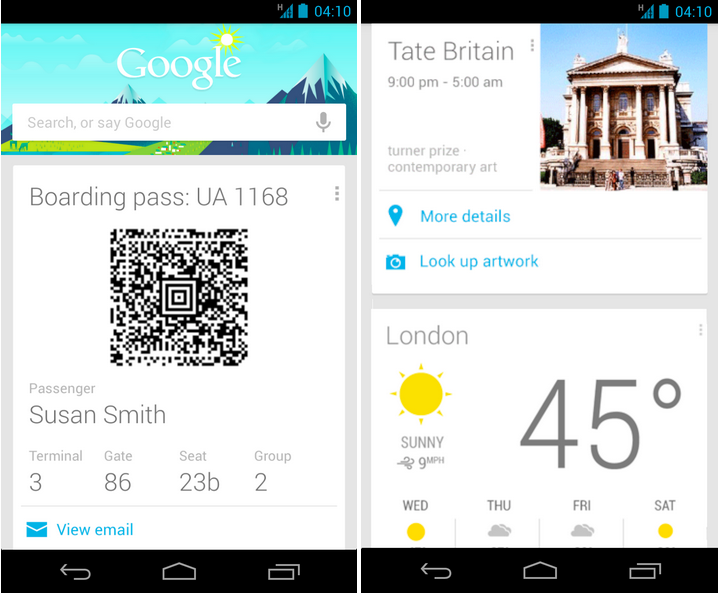 Google aims to help people turn their intents into actions, lightning fast. For travelers, this means we’re helping to take the complexity out of planning a trip by making it fast and easy for users to find the information they need to plan their next journey. Whether you’re looking for information about flights, hotels, activities or destinations, we have tools to help you -- and they are easily accessible for people on the go. Some of our favorite new functionality is outlined below. This year, we’ve made some changes to the user interface of Flight Search, and added features that offer more information about amenities and fees; we did this to help users feel well-informed, and to help them quickly choose the best itinerary. 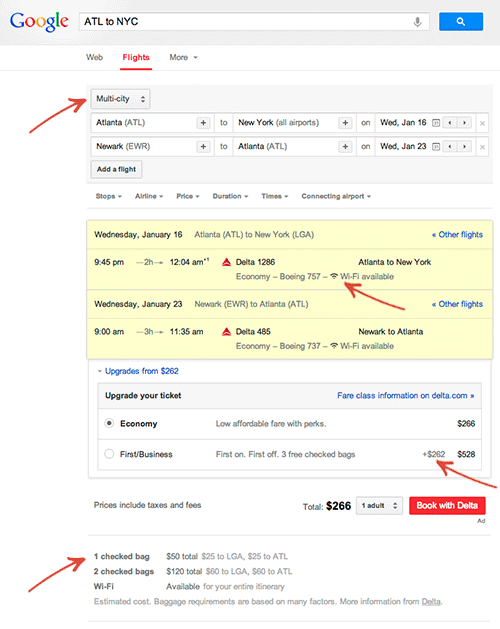 For instance, you can now quickly compare multiple destinations and multiple days simultaneously, using live prices, with our recently introduced experimental feature called Flight Explorer. Try it at www.google.com/flights/explorer. 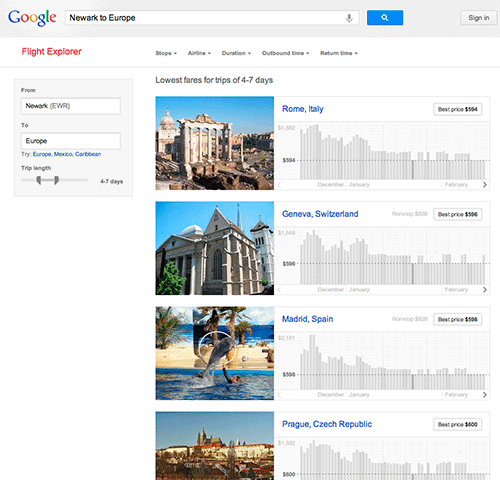 In March, we made it possible for users to find flights to more than 500 destinations outside the US. Soon after, we enabled this capability for any international destination airport, for flights originating from the US or Canada. Globetrotters can try these features at www.google.com/flights, or just type your departure city and destination in the search box. And late this year, we rolled out localized versions of Hotel Finder in France, Italy, Germany, Spain, Switzerland, Austria, Portugal, UK and Ireland. 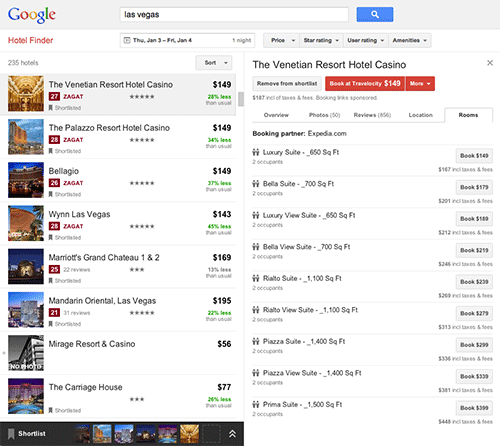 Now, people in those areas can search for and view hotel options in their own language and currency. In 2012, we made it even easier to find and book the right hotel for you using Hotel Finder. 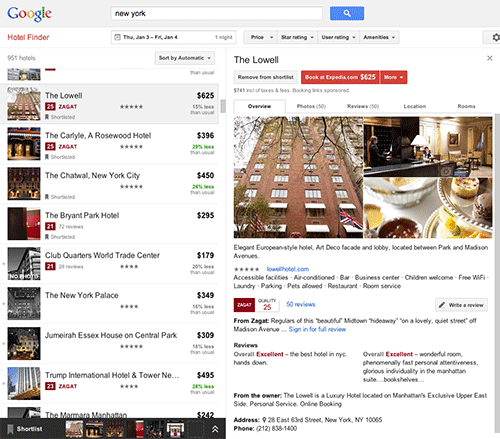 We also added more content including Zagat reviews and amenities. Hotel Finder now shows the price and availability for a choice of room types. You can try these features, and others, at www.google.com/hotels. In September, we made it easier for you to find the information needed to plan a trip, whether you’re searching via desktop, smartphone or tablet. 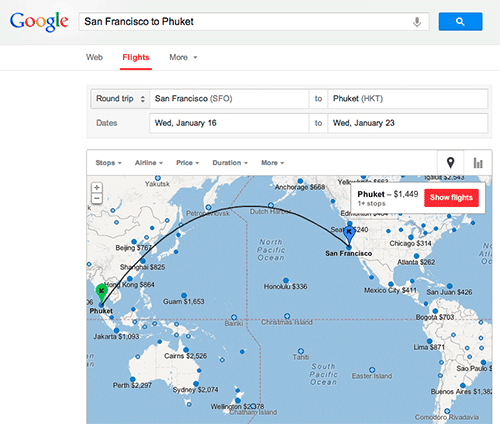 Finally, you can easily tap into the collective intelligence of the web to uncover a list of information relevant to your destination, using the Knowledge Graph carousel -- and hopefully, find inspiration. Stay tuned for more. We think you’ll love what we have coming your way in 2013.